We made the first ring in our wave series—Eastbourne 1-a—for our good friend Mitch Adair. 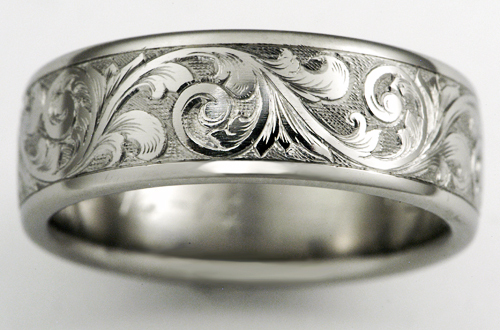 He wanted a ring evocative of the famous “Great Wave” woodblock print by Katsushika Hokusai. 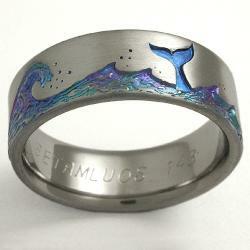 A customer liked that ring but wanted to add a whale tail, so we created Echo 1. Is a titanium ring really safe to wear? You’ve probably heard that titanium is hypoallergenic, but what does that really mean? Although the term is not used in medicine, for practical purposes it means the body does not try to reject it and does not produce annoying reactions such as rashes and other allergic responses. So, even if you’ve had an unhappy experience with silver, low-karat gold, or other less expensive jewelry, you will not have a problem with titanium! Read more about Is a titanium ring really safe to wear? Over the years we’ve had a number of unusual jewelry requests. One recurring request is for us to make a ring out of titanium implants—screws, rods, plates, etc. 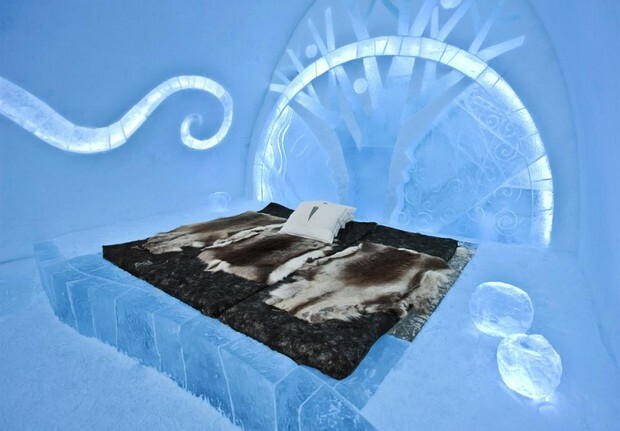 Well, we haven’t been able to do this because, among other problems, titanium has a very high melting point: about 3,034 °F. We mill our rings out of solid blocks of titanium and most implanted items are too flat or just not big enough. We’re fortunate to live in a gorgeous area with mountains close by in several directions. 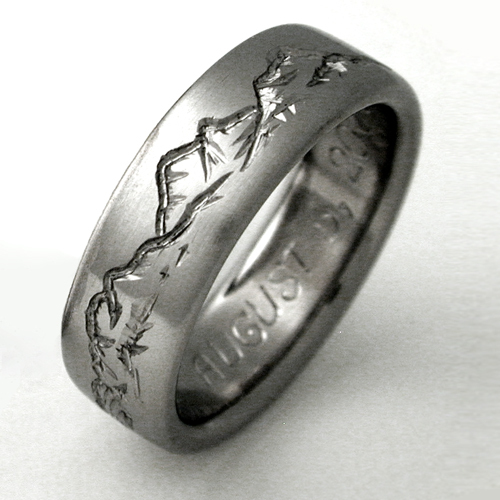 One of our first “theme” rings featured a carved mountain range encircling the ring, much like the mountains near us. What should we engrave in our rings? Sometimes people wonder what they should have engraved inside their rings. How about, “My first round draft pick”? There aren’t any rules about engraving—you can get whatever you want—or nothing. We have a limit of forty characters (counting spaces as one character each) or you can pay a little extra to get two lines, doubling the length available. We like to include our logo and the metal content but this isn’t absolutely necessary. 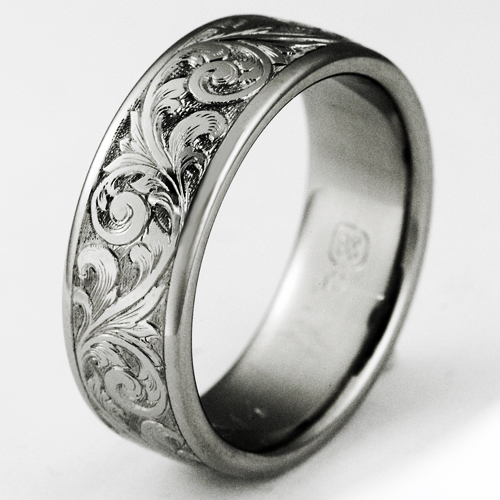 Read more about What should we engrave in our rings? Yeah, we’re kinda geeky—the Van de Graaff generator and massive slide rule collection confirm it. Numerous times, at art and craft shows we’ve done, we have traded jewelry for electronic oddities. So, it was only a matter of time before some of that started morphing onto our titanium wedding rings. Read more about What do butterflies, golf clubs, deer tracks, wrenches, mountains, and tractors have in common? Answer: titanium wedding rings!